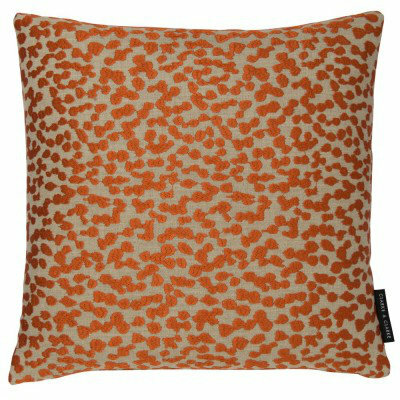 A lovely orange lynx print texture on a linen ground a colourful addition to a modern home. Total cushion size 43 x 43cm. 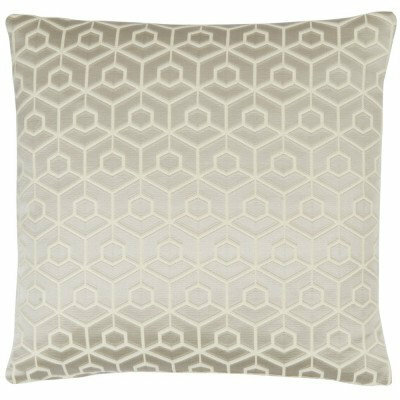 For a modern touch a contemporary silver cushion with a bold geometric pattern. Total cushion size 43cm x 43cm. 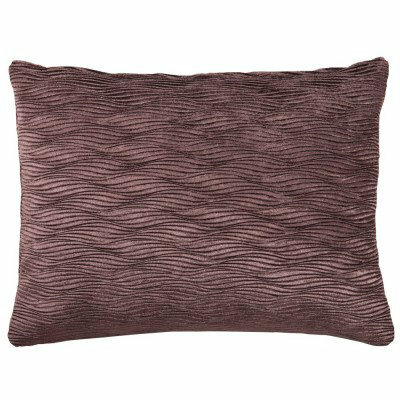 A classy addition to your bedroom or lounge an elegant red grape coloured textured rectangular cushion. Total cushion size 40 x 30 cm. 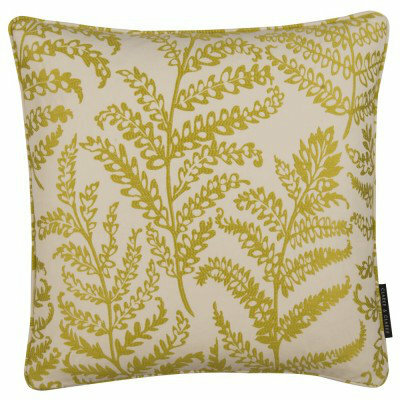 A beautiful linen coloured cushion with an all over citrus fern leaf embroidery. This item would work well in a country interior as well as a more contemporary style. Total cushion size 43 x 43 cm. 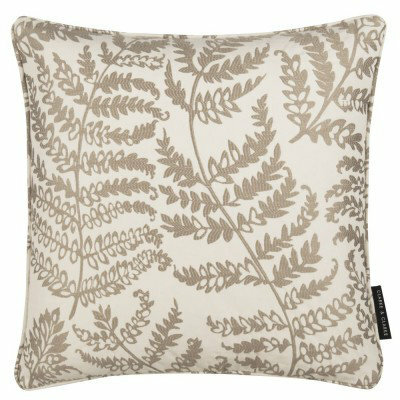 A beautiful linen coloured cushion with an all over grey fern leaf embroidery. This item would work well in a country interior as well as a more contemporary style. Total cushion size 43 x 43 cm. 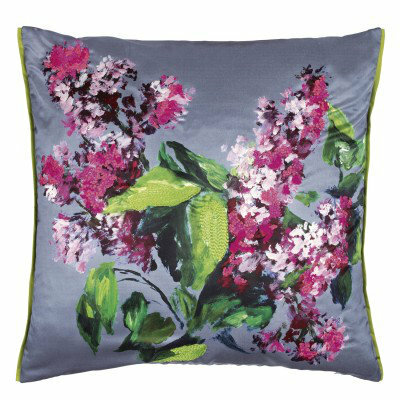 A stunning silk cushion featuring a gorgeous hand painted floral design in beautiful vivid colours on a deep silver ground and lime green edging. Perfect for creating a luxury look in your home. Pink silk satin reverse. 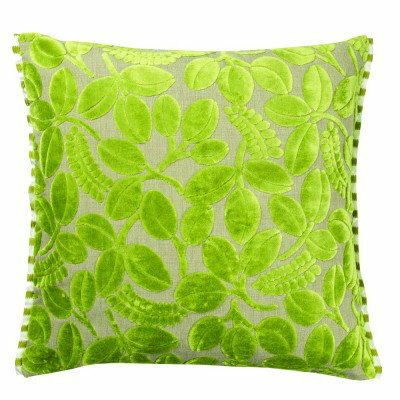 Treat yourself to a stunning ornate velvet cushion featuring gathered leaves in a gorgeous apple colourway. Reverse side shows tonal velvet stripes and both sides are trimmed with striped silk. 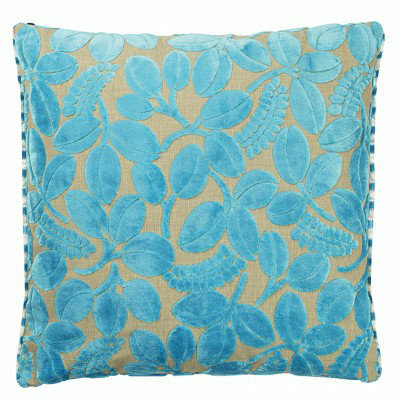 Treat yourself to a stunning ornate velvet cushion featuring gathered leaves in a gorgeous turquoise colourway. Reverse side shows tonal velvet stripes and both sides are trimmed with striped silk. 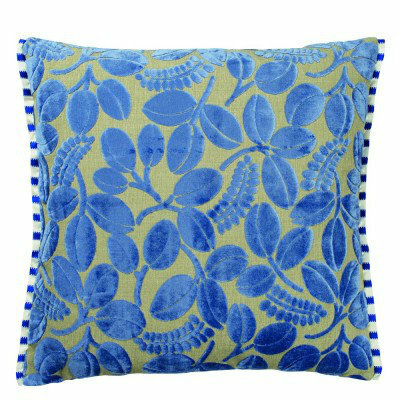 Treat yourself to a stunning ornate velvet cushion featuring gathered leaves in a gorgeous cerulean colourway. Reverse side shows tonal velvet stripes and both sides are trimmed with striped silk. 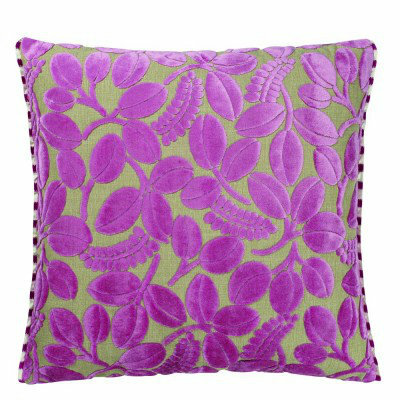 Treat yourself to a stunning ornate velvet cushion featuring gathered leaves in a gorgeous peony colourway. Reverse side shows tonal velvet stripes and both sides are trimmed with striped silk.